His frenetic drumming was the bedrock of Hendrix's music. Mitchell treated the drums more like a lead instrument than the rhythm section. The late 61-year-old provided a brilliant counterpoint for Hendrix's unique guitar sound. But Mitchell's career faltered after Hendrix died in 1970. He never quite recaptured the heights achieved with the Experience. Born in Ealing, west London on 9 July 1947, John 'Mitch' Mitchell taught himself to play drums as a boy. He honed his skills while working in Jim Marshall's music shop in central London. By his late teens Mitchell had established a reputation as a session musician, playing with a number of bands including the Tornados. His big break came when he joined Georgie Fame & the Blue Flames, a well-established jazz based outfit. In 1966, he was invited to audition for a new band being formed to back Hendrix, who had arrived in the UK as a complete unknown. "We met in this sleazy club," he later recalled. "We did some Chuck Berry and took it from there. I suppose it worked." 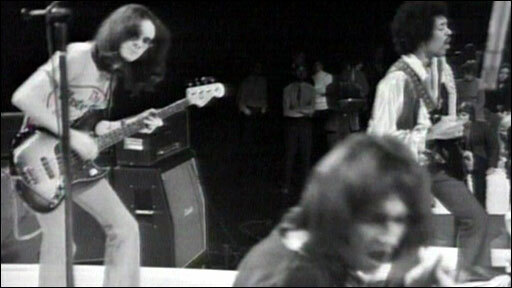 Together with bassist Noel Redding, the band became one of the innovators of the 'power trio' style of rock. This format allowed Mitchell to indulge his extrovert style, and contribute far more to the band than the traditional drummer's role as a timekeeper. As well as the music, the band set out to make a visual statement, with psychedelic clothes and outrageous perms. The band really hit the headlines with their performance at the Monterey Pop Festival in 1967, when Hendrix set fire to his guitar. Mitchell played on all five of the Hendrix hit singles, including Hey Joe and Purple Haze, as well as the bands three best-selling albums. But Hendrix was feeling constrained by the power trio format, and the band broke up after their performance at the Denver Pop Festival in June 1969. Mitchell returned two months later as part of a new, much bigger, line-up which backed Hendrix at Woodstock. He played in a brief reincarnation of the three-man Experience in 1970 but any thoughts of repeating earlier success ended when Hendrix died later that year. Mitchell worked on a number of uncompleted Hendrix tracks - which were later released - before forming his own band with limited success. 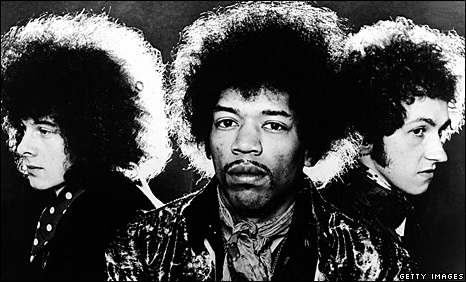 Mitchell and Redding had been paid a salary by Hendrix 's manager and were not entitled to any royalties from the recordings. And by the mid 1970's Mitchell was facing severe financial problems, and the work was drying up. He failed the audition for Paul McCartney's new band, Wings, and spent the following 20 years doing low-key session work. Mitchell brought the concept of drums as a lead instrument from jazz, to set a new trend in rock music. His style blended perfectly with Hendrix's revolutionary playing, to create a sound that is still unique in rock music.